Brooklyn's Sharon Van Etten is on quite the up and up with her soulful blend of folk and pop - we've got her full set from Primavera for your listening pleasure, and don't miss her performance at the WFMU studios this past February. Afrocubism packs an impressive amount of international talent onto one stage, featuring Eliades Ochoa of Buena Vista Social Club and master Kora player Toumani Diabate backed by the finest musicians Mali and Cuba have to offer. Australian instrumental rockers Dirty Three have graciously allowed us to post their full set, including the hillariously foul banter between songs that we couldn't play on the radio. The Field's Axel Willner has been a mainstay of the Kompakt roster since 2004 and we've got the last two numbers from his mind-expanding set this Summer. The Pop Group are still going strong after transforming post-punk in the late '70s, represented here by five selections from their genre-bending set. This batch finishes strong with a sunny performance from experimental man of mystery James Ferraro. 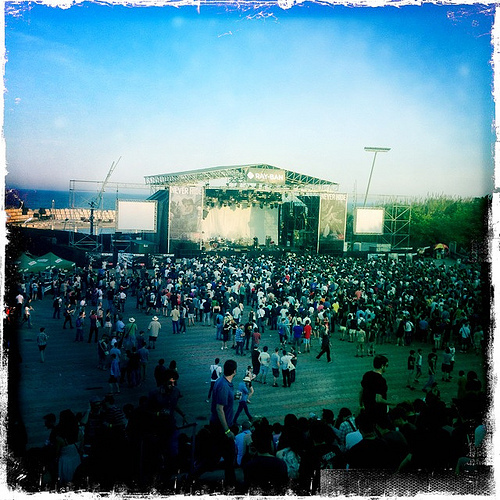 If you missed the first batch of Primavera 2012 uploads you can find the write up here, and the whole collection here.